I honestly thought I would be writing to you about Trillium (2014). A graphic novel I absolutely love and adore. 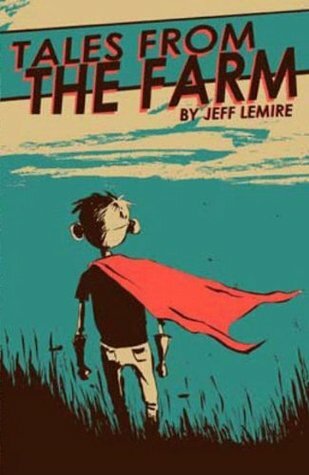 As time drew near to wrap up this series, I found my heart leaning toward another Jeff Lemire book. My favorite Lemire book actually: Essex County. This book made me smile, had me in tears, and captured my heart. When people ask me for graphic novel recommendations, this book is always at the top of the list. It is easily one of my top ten favorite books of all time. Plus with the snowy Canadian backdrop, Essex County is the perfect book to read over the holidays or anytime during winter. I do hope you will make this book a part of your life and be sure to share your experience in the comments below. Plus do not forget any of the previous books in this series: Pretty in Ink, David Bowie Is, and Landline.